Soundway Records delivers a beautifully remastered reissue of Brazilian duo Grupo Controle Digital’s only album, “A Festa É Nossa”. First released in 1988, the album is now housed in a tip-on heavyweight sleeve and restored artwork. 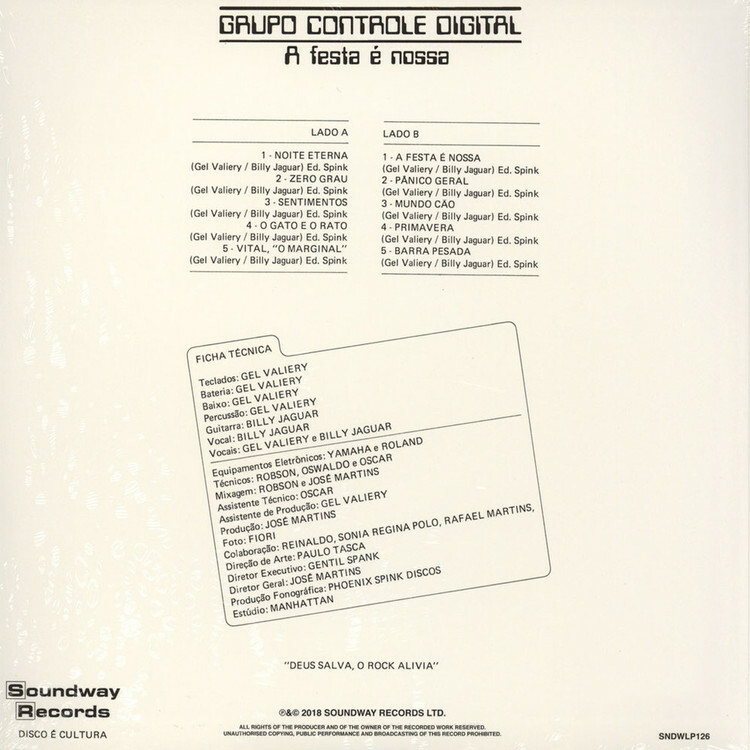 With the title track “A Festa É Nossa” having circulated the last few years in the DJ sets of influential tastemakers, the album has become highly sought after by electronic fans and collectors alike. 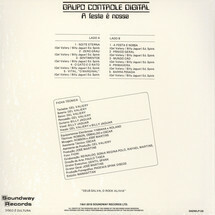 Lo-fi synths and cruising bass lines permeate the record, influenced by the group’s Brazilian contemporaries at the time such as Tim Maia, Cláudio Zoli, Secos E Molhados, and rock outfit Made In Brazil.